We at My Shiny Shop LOVE Family Dinners! That's our favourite time of the day. The best chance to chat with our children, trying to explore their minds & hearts and to hear their thoughts & feelings! When we sit down we normally start asking questions like 'How was school today', 'What did you have for lunch? ', What did you play with your friends during play time?' or ' Did anything special happen today?'. Does that sound familiar to you? A bit rusty, isn't it? 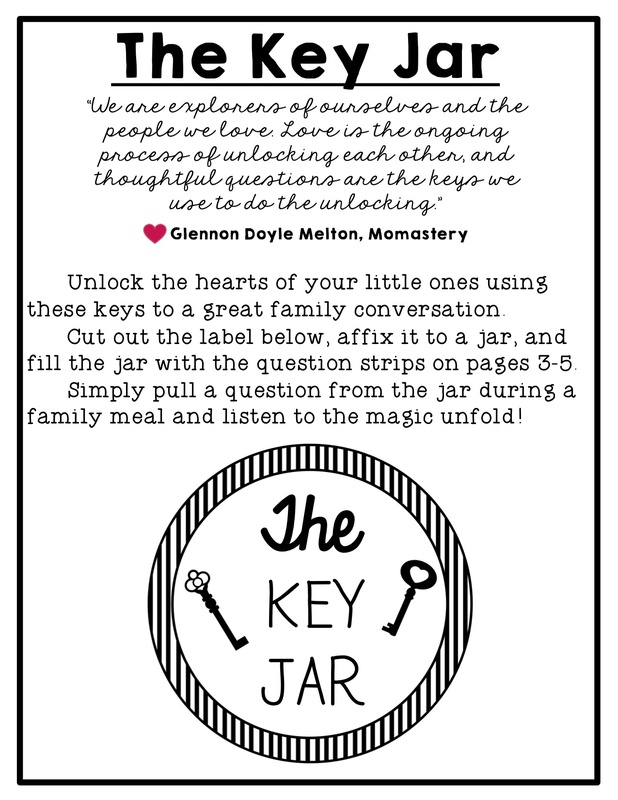 We always end up asking the same questions over and over again...... Tha's why we were so happy when we stumbled upon this idea of a “Conversation Jar” filled with interesting questions. 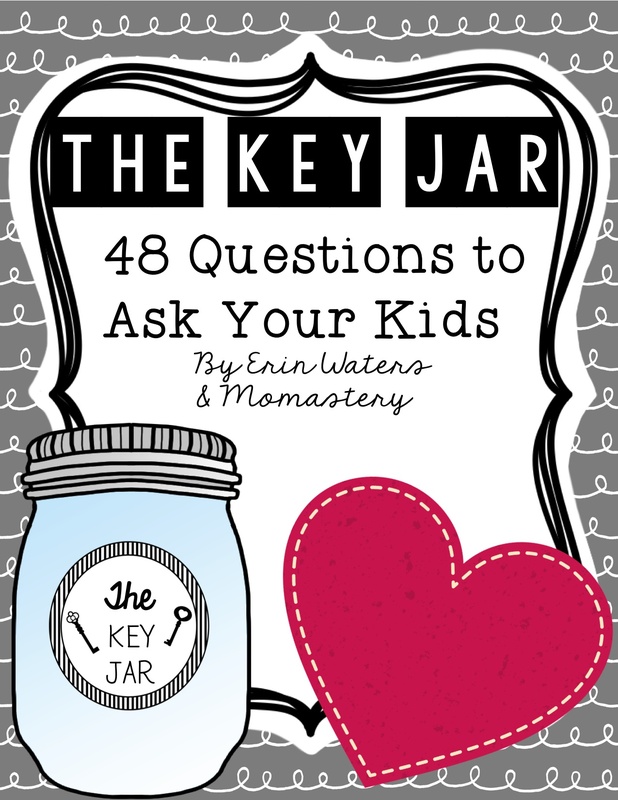 http://momastery.com/blog/2015/04/24/key-jar/ A wonderful idea for big and small! Enjoy the chatting. Maybe send us a photo of your jar? We are very curious to see how your created it. 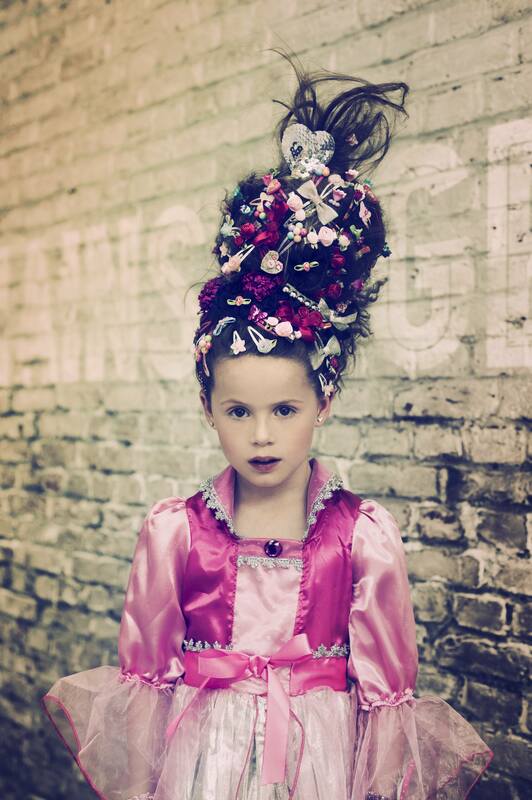 At My Shiny Shop we love to find activities for children that are a bit more traditional. 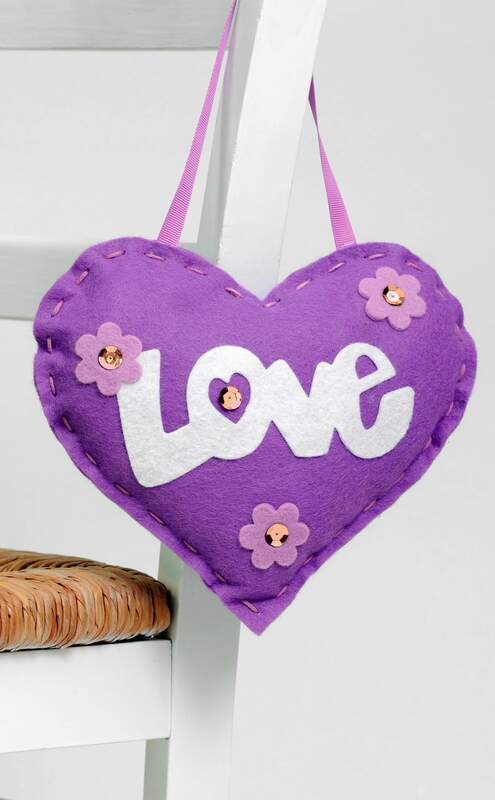 We were delighted when we stumbled upon these wonderful Make & Sew products from Kitty Kay. This is a lovely range of fun sewing & craft kits for girls and boys, aimed at children of four years and upwards. No messing around with patterns, pins and scissors! Each kit contains pre-cut shapes, suitable for all sewing and crafting abilities, the best quality materials and accessories, easy-peasy instructions and everything needed to complete a great project in a small amount of time! Designed in 3 simple levels, with different needs in mind - Beginner, Confident and Advanced Sewer - there is something for everyone....even adults too! So whether it's birthday time, Christmas time or just family time: Make & Sew is the perfect creative gift. 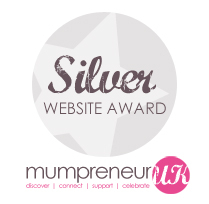 We are delighted to tell you that we received the Silver Website Award from Mumpreneur. Our website was considered by three professionals within the online industry who marked our site based on the criteria provided by Mumpreneur UK. Silver for My Shiny Shop - good news for the start of our new shiny journey! And there is something else we are proud of. My Shiny Shop is listed at Babyccino Kids. 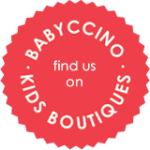 Babyccino Kids offers a curated selection of children’s boutique webshops, organised into relevant categories and highlighted by key products, making it easy to find the perfect webshop for your shopping needs. 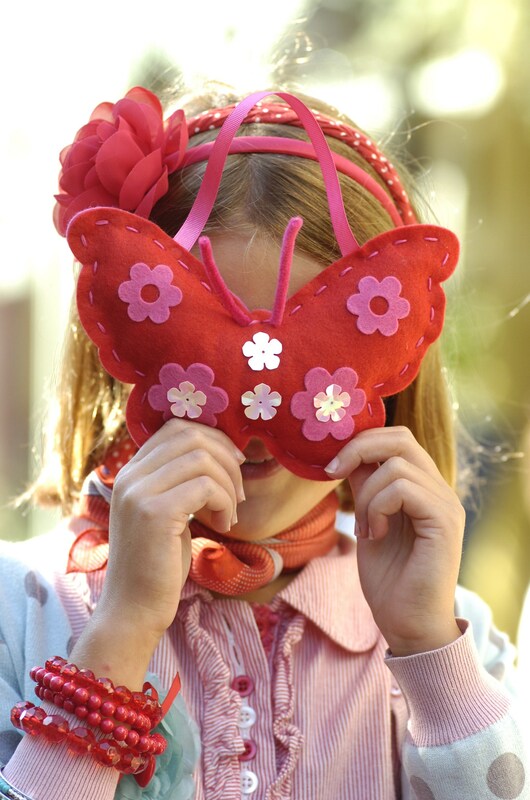 Babyccino makes sure to select only the very best children’s boutiques which meet their criteria. They consider the look of the webshop, the originality of the products and the usability of the website. We made it - we are represented on Babyccino Kids. Thank you Mumpreneur and Babyccino Kids! A warm welcome to our first post! We can't believe it but finally our online store My Shiny Shop is about to launch. We are excited to begin this incredible new journey. After weeks, months and even years of dreaming, planning, creating and implementing My Shiny Shop is open. We are very proud and so enthusiastic about this new website. We worked hard to create a unique shopping experience for you and to find stylish wardrobe essentials, beautiful gifts and decorative room accessories for your children. Enter a world full of happiness, imagination, creativity and love. We capture and celebrate the joy of childhood! Beside that we are committed to great service and keeping you happy. And of course there is more to come. We will be adding new brands and products continuously. We can't wait to introduce them to you...Meanwhile, if you have any questions, suggestions or feedback we would love to hear from you. We hope you like what you see and it gives you a smile!